You are currently viewing Archived reports for the week of 4 August-10 August 2010. 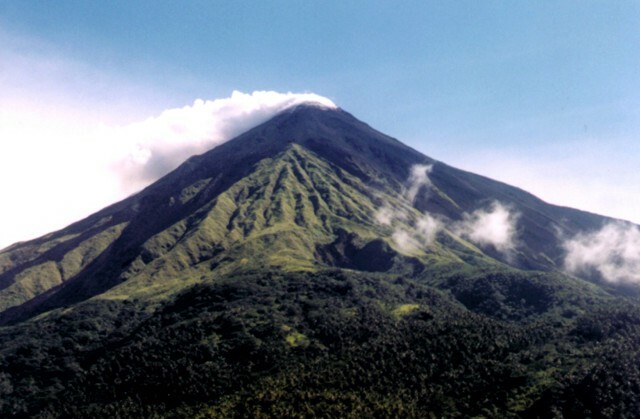 According to news articles, an eruption from Karangetang on 6 August produced pyroclastic flows on the W flank that destroyed at least seven houses. A hot ash plume rose above the crater, and incandescent material was ejected from the crater and descended multiple flanks. At least four people were missing, five were injured, and about 65 were evacuated. An article also stated that CVGHM raised the Alert Level to 3 (on a scale of 1-4). According to reports from CVGHM and analyses of satellite imagery, the Darwin VAAC reported that an ash plume rose to an altitude of 9.1 km (30,000 ft) a.s.l. 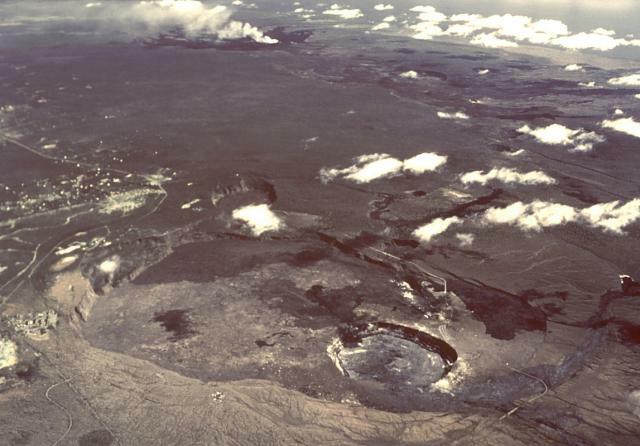 and drifted W.
During 4-10 August HVO reported that activity at Kilauea continued from the summit caldera and the east rift zone. At the summit caldera, the level of a lava-pool surface in the deep pit within the floor of Halema'uma'u crater remained mostly stable; glow from the vent was also visible at night. A plume from the vent mainly drifted SW, dropping small amounts of ash downwind. At the east rift zone, lava flows that broke out of the TEB lava-tube system fed surface flows on the coastal plain, an inflating surface flow in Kalapana, and two ocean entries. The delta built by the W ocean entry named Puhi-o-Kalaikini was 900 m wide by 8 August. 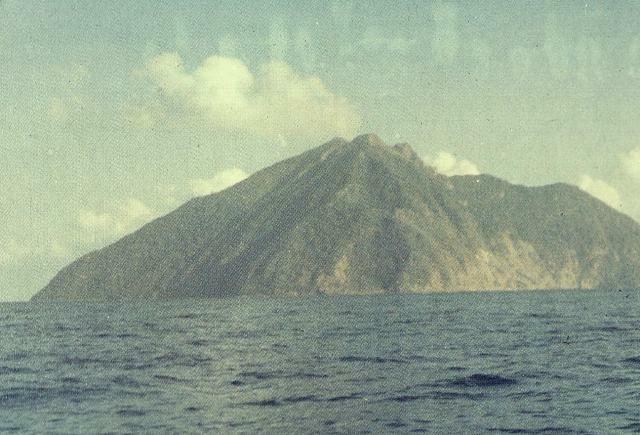 The less vigorous E entry, 'Ili'ili, remained active until 9 August. At Pu'u 'O'o crater, incandescence from small areas on the N crater floor was visible. During 9-10 August minor spattering from the area built a very small cone. Based on information from JMA, the Tokyo VAAC reported that explosions from Sakura-jima during 4-9 August produced plumes that rose to altitudes of 1.2-2.4 km (4,000-8,000 ft) a.s.l. and drifted W, NW, and N. Pilots observed ash plumes that rose to altitudes of 2.1-3 km (7,000-10,000 ft) a.s.l. on 7, 9, and 10 August. Based on analyses of satellite imagery, the Darwin VAAC reported that during 9-10 August ash plumes from Batu Tara drifted NW and SW at an altitude of 1.5 km (5,000 ft) a.s.l. 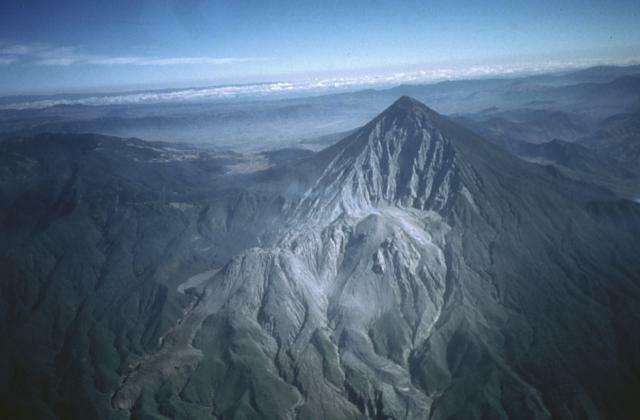 KVERT reported that during 30 July-6 August seismic activity from Karymsky was above background levels and suggested that possible ash plumes rose to an altitude of 2 km (6,700 ft) a.s.l. A thermal anomaly over the volcano was detected in satellite imagery during 29-30 July and 1-2 and 4 August. Imagery also showed ash plumes that drifted 17 km NE on 2 and 3 August. The Aviation Color Code level remained at Orange. KVERT reported that 30 July-6 August seismic activity from Kliuchevskoi was above background levels and lava flowed down the SSE flank. 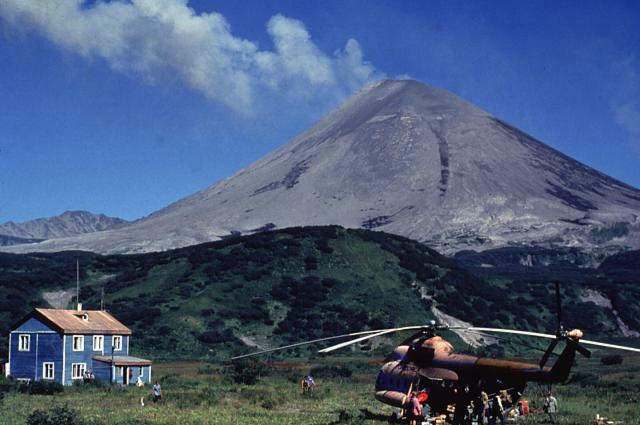 Strombolian activity and gas-and-ash emissions were observed during 29-30 July and 4-5 August. Cloud cover prevented observations the other days. Satellite imagery analysis showed a large daily thermal anomaly from the volcano and a gas-and-ash plume that drifted 65 km NW on 30 July. The Aviation Color Code level remained at Orange. 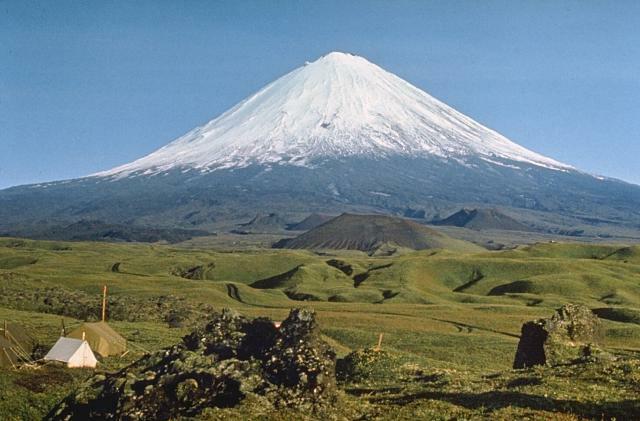 On 5 August, INSIVUMEH reported that lahars descended Santa María's Nima I, Nima II, and San Isidro rivers, carrying tree branches as well as blocks up to 2 m in diameter. 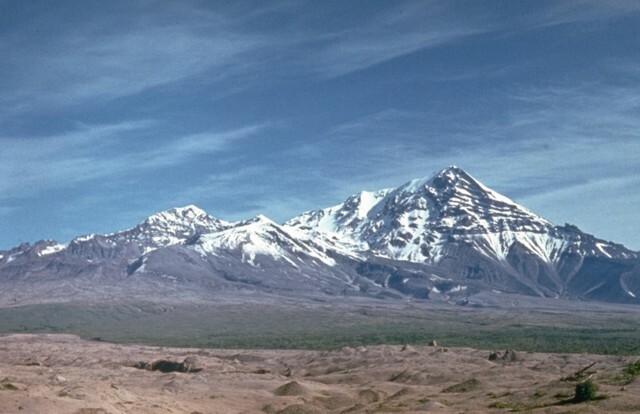 The next day, steam plumes rose above Caliente dome and drifted SW.
KVERT reported that during 30 July-6 August seismic activity from Shiveluch was above background levels and suggested that possible ash plumes rose to an altitude of 4.5 km (14,800 ft) a.s.l. 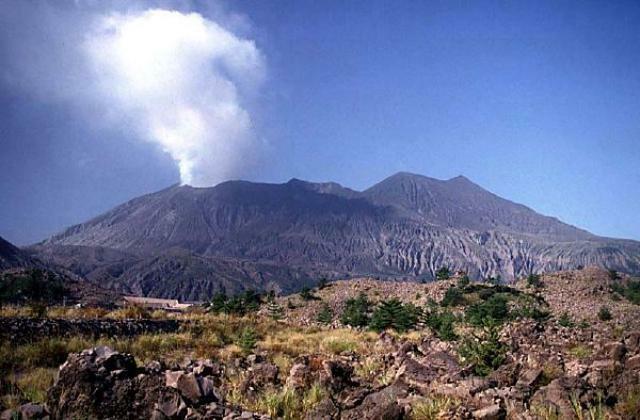 Gas-and-steam plumes were seen rising to an altitude of 4 km (13,100 ft) a.s.l. during 29-31 July. Cloud cover prevented observations the other days. Satellite imagery analysis showed a large daily thermal anomaly on the volcano. Based on analysis of satellite imagery, the Tokyo VAAC reported that an eruption on 9 August produced a plume that rose to an altitude of 6.7 km (22,000 ft) a.s.l. The Aviation Color Code level remained at Orange. 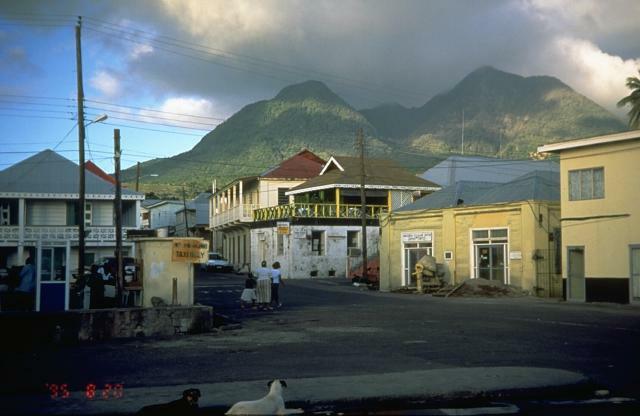 Based on a METAR weather report and analyses of satellite imagery, the Washington VAAC reported that on 10 August a narrow plume from Soufrière Hills drifted more than 100 km WNW.